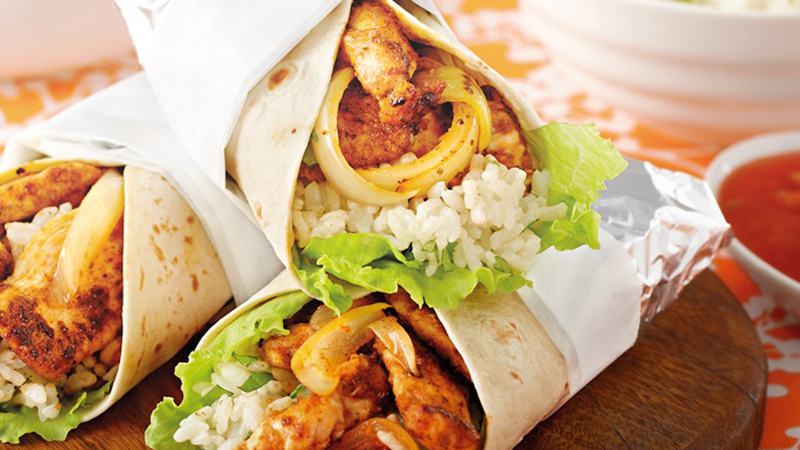 This Old El Paso™ Mexican recipe makes 4-6 Chicken Burritos in just 30 minutes. 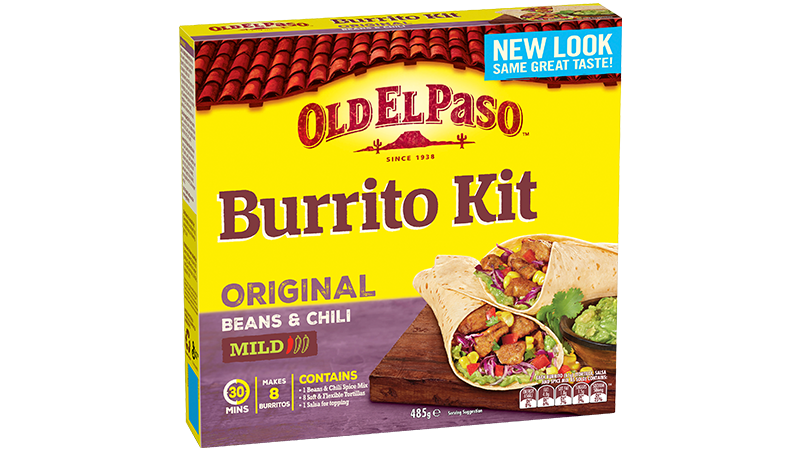 The meal is made easy with our Burrito Kit and made delicious with Mexican rice and other fresh ingredients like, lettuce, coriander and succulent chicken fillets. Bring stock to the boil add rice, cover and simmer for 20 minutes. Stir through coriander and lime juice. While rice is cooking, toss chicken, onion, oil and Burrito Seasoning together in a bowl. Cook seasoned chicken in a frying pan over medium/high heat for 4-5 minutes or until golden brown. Serve warmed Tortillas filled with lettuce, Mexican rice, and chicken and topped with Mild Mexican Salsa.